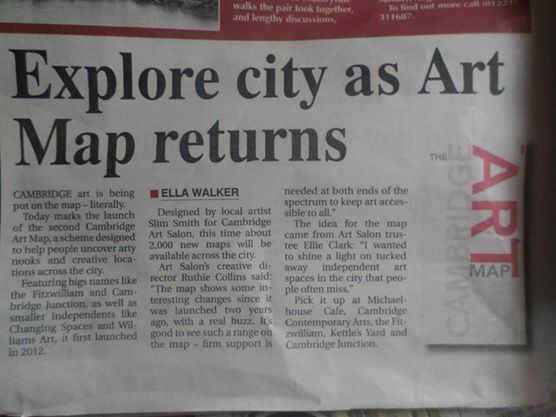 Designed by Cambridge designer Slim Smith, the Cambridge Art Map was first launched in 2012 to give visibility to the huge range of arts spaces in Cambridge and is featured in The Guardian here. Pioneered by trustee of the Art Salon, Ellie Clark, who’d had the idea after working in East London and was inspired by the Whitechapel Gallery’s http://www.firstthursdays.co.uk/maps – with support from the Art Salon’s Ruthie Collins, the map has been a huge success, flying off the shelves of stockists. 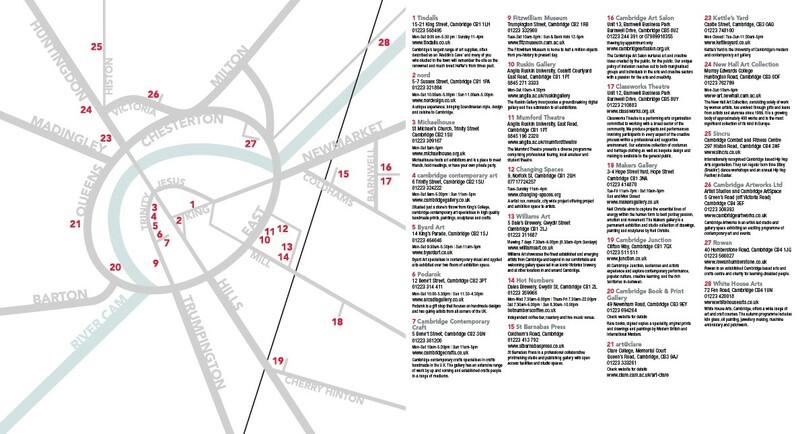 A simple, easy to use tool to help the public access the arts in the city, the Cambridge Art Map features over 22 spaces and is available in Tindalls, the Fitzwilliam Musuem, Michaelhouse Centre, Kettles Yard, or Cambridge Junction. 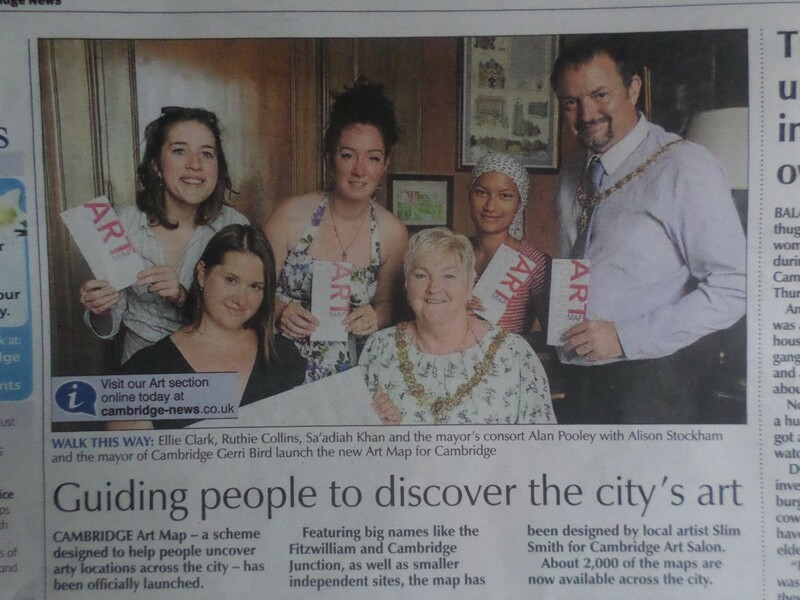 Thanks to our current sponsors Fitzwilliam Museum, Tindalls, Cambridge Junction and Kettles Yard plus to our development co-ordinator Alison Stockham.